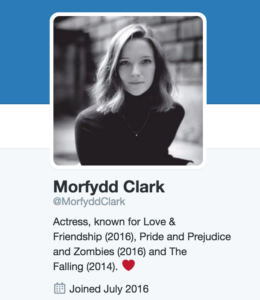 Please welcome the incredibly talented actress, Morfydd Clark, to twitter. She plays Frederica Vernon in Whit Stillman’s Love & Friendship. The film is still in theaters worldwide (check your local listings).